Thrift shopping. For some people, those words evoke the thrill of the hunt. For others, a disorganized nightmare. Whichever side your experience falls on, or if it's somewhere in between, there's Beyond Retro, a London-based vintage juggernaut that sorts the treasure from the dross so you don't have to. Since 2002, Beyond Retro has relied on its 30-person team of buyers, stylists, and trend experts to transform yesterday's castoffs into today's must-haves. Only one "needle" out of every 1,000 "stalks of hay" eventually makes it to one of Beyond Retro's nine brick-and-mortar boutiques across the United Kingdom and Sweden or its online storefront, according to Steven Bethell, the company's founder and creative director. The remaining 999 garments are diverted to Beyond Retro's factory in India, where they're chopped up and reworked into one-of-a-kind looks for the firm's Label collection. Intrigued yet? Ecouterre turned to Bethell to get the scoop. 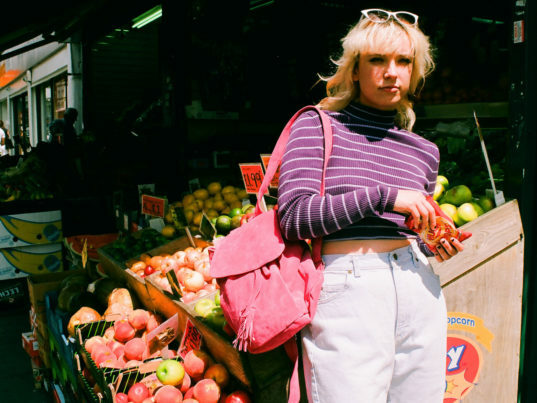 Why did Beyond Retro decide to launch the Label brand? Out of necessity. Whilst hunting for vintage clothing, we continuously came across huge amounts of clothes made from amazing fabrics. However, they weren’t suitable for our customer for various reasons, often due to the shape or damage. Through Label, we are able to create a new life for these unsuitable products, whilst simultaneously saving 600,000 items a year from landfill. We wanted to find a solution that gave us the chance to create original vintage-inspired pieces whilst aligning our concern for declining global resources. 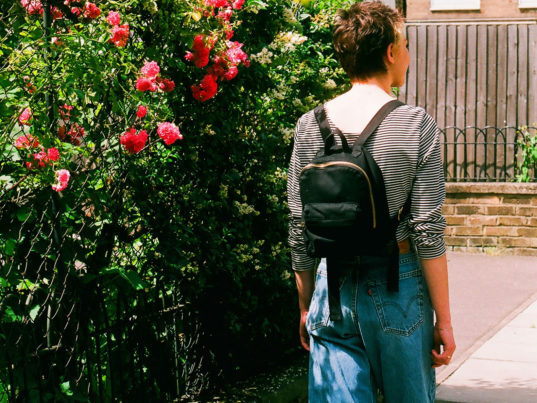 We have the opportunity to create exciting pieces for our customers that they can’t find in the vintage clothing, offering an upcycled alternative to the high street for on trend styles. How do you source your used clothing? Beyond Retro is part of Bank & Vogue, which is one of the largest brokers of used clothing in the world. 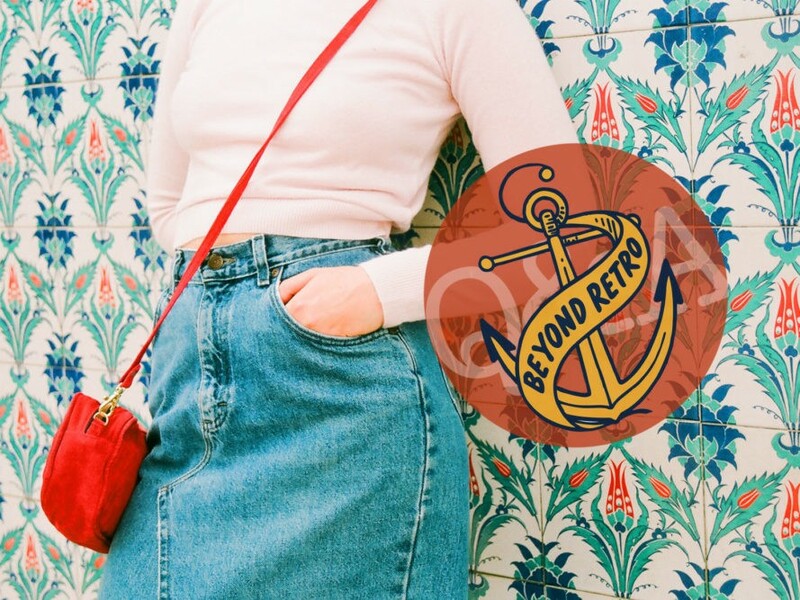 For over 20 years, we’ve worked in the recycling business, and we saw incredible vintage and secondhand clothing that needed to be worn again, so we created Beyond Retro. These clothes come from the discards of charities or private collectors throughout the world and end up in industrial sorting facilities. Through our global team, we sift through tonnes of this product to bring the best hand-picked fabrics for our raw material to create our Label collection. Are there specifics you look for when choosing pieces to rework? We’ve been lucky enough to have seen thousands upon thousands of different vintage items, which we have used as our main source of inspiration. We also take inspiration from our surroundings, from the catwalks to street style in London and Stockholm. Our customers and staff are also a constant source of inspiration, feeding back new ideas from the stores almost daily. Also, the fabrics themselves give us a lot of the inspiration—we’re fascinated by fabrics that have a timeless appeal, such as denim or suede. Your operations currently spans continents; how does your design process work? Our design inspiration starts with a trend board from the inspiration we’ve gathered, then we create a story around the raw material we have to upcycle. We work closely as a unit across the United Kingdom, Sweden, Canada and India in the design process, ensuring we are in constant communication to ensure we have the best design, material and craft behind each piece. Your line is made in a factory in western India. Why did you choose to own and operate your own factory? Our team in India has a unique and highly sought-after knowledge of the artisanal skills needed to successfully deconstruct and reconstruct clothes. As we are doing something completely innovative, by working with apparel rather than rolls of fabric, we needed a team of experts to help us on the journey. We had to redefine the relationship between the designers and the manufacturer: to make a truly cooperative effort to ensure the best product was created, and we wanted to ensure our team were truly part of our business in every way. Plus, much of our material comes from a sorting factory moments away from our Label factory. Years of sourcing in the region made it the ideal choice for our factory, giving us the chance to invest in the local community and minimize our carbon footprint by keeping the sorting process in close proximity to our upcycling. How does Beyond Retro bring us closer to a closed-loop economy? We want to go beyond a green “zero waste” policy, and go to a blue policy. In other words, this is not about us minimizing our waste, but rather taking the world’s waste and turning it into a product. The term “blueing” comes from looking at the Earth from a spaceship and seeing it blue. We constantly need to be asking ourselves how can we make the planet better, rather than just maintaining the status quo. The new innovation isn’t about zero waste; we need more to truly succeed in helping our environment for generations to come. Through the cycle of vintage, and upcycling our Label collection, we’re contributing to the circular economy in a meaningful way, making a lasting impact on the landscape of fashion. We always want to go further, and have recently launched a wholesale business to ensure none of our unsold product goes to waste. We’re proud of our minus carbon footprint, but always want to go further to find new solutions to the world’s waste problem. Your team pays close attention to the runways and trend. What are some notable looks you are loving for Fall/Winter? The prevalence of sequins for party season is a real favorite trend of mine. 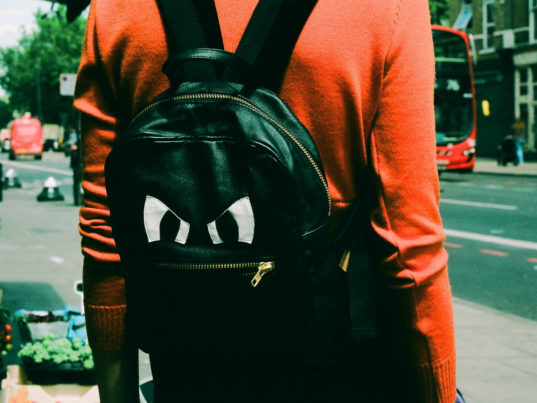 Another current obsessions is anything customized—painting, embroidery—anything which takes a normal item and makes it more exciting and personal.